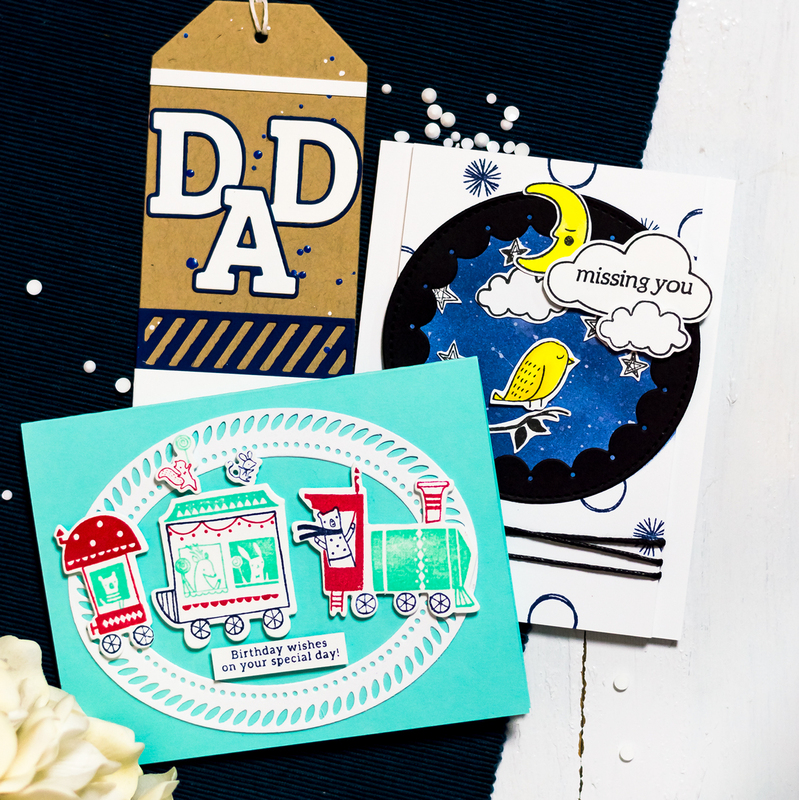 The new Simon Says Stamp release Fun & Festive went live just now. You can find a lot of fun supplies in this release. 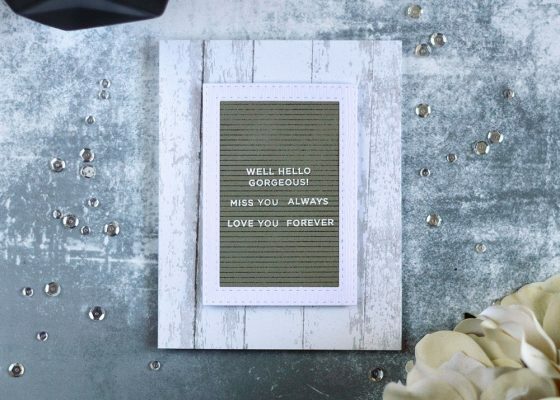 I want to share you a simple card made using the new die from the release – You’re So Kind. It’s a cute die that die-cuts a label-like sentiment. I decided to hide it in a watercolor floral cluster. 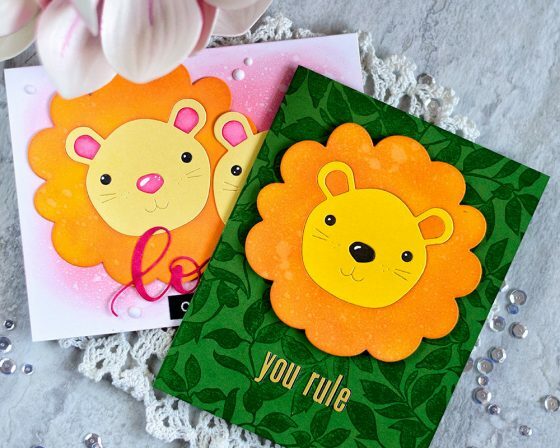 Today I’m very excited to participate in another STAMPtember exclusive release. And today it’s Tim Holtz! Yay! 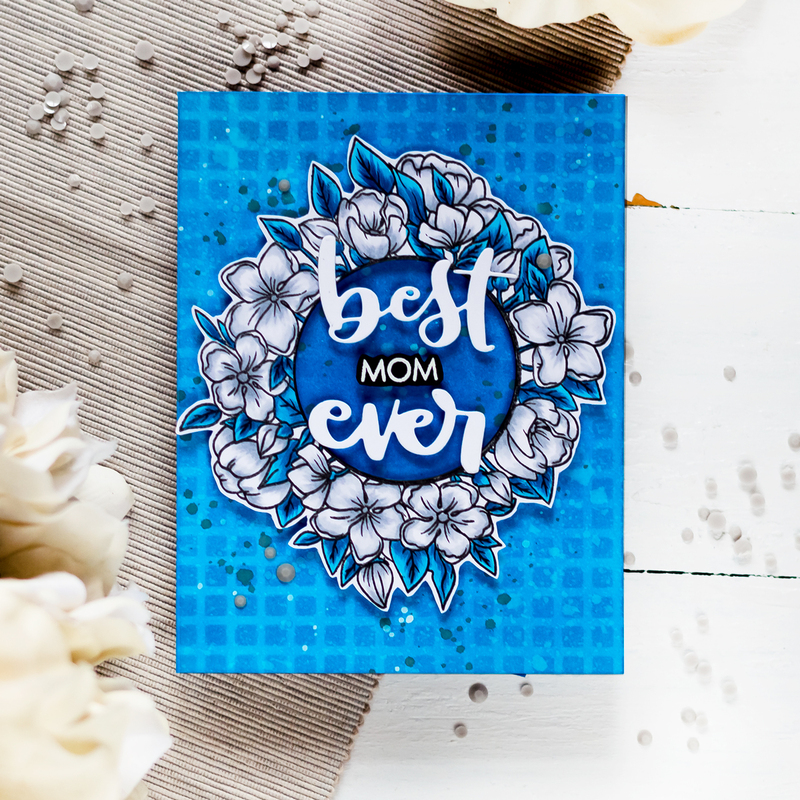 I was honored to play with the exclusive set of stamps and stencils and today I’m sharing three cards made using them. 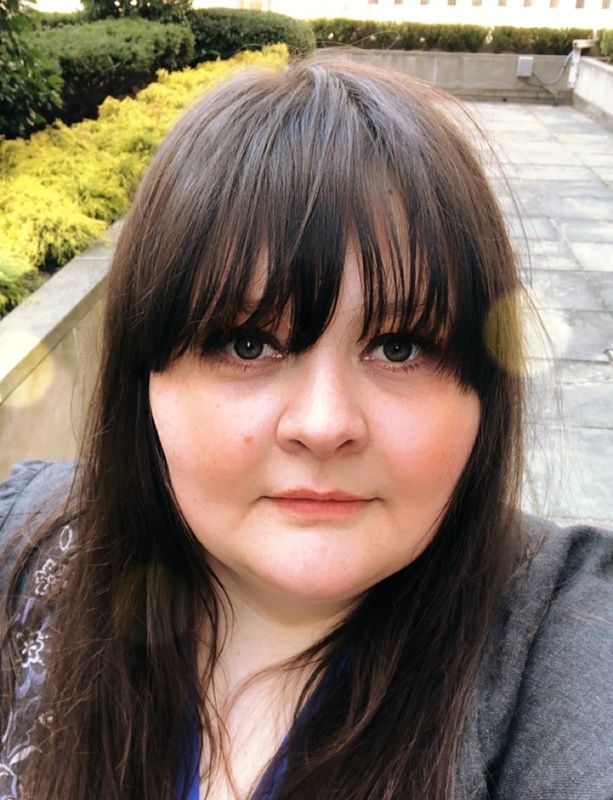 I’m sure you all follow STAMPtember – a month long event of celebrating creativity. And stamping of course. There are a lot of fun things happen during this month and one of the most exciting ones are exclusive collaboration sets. 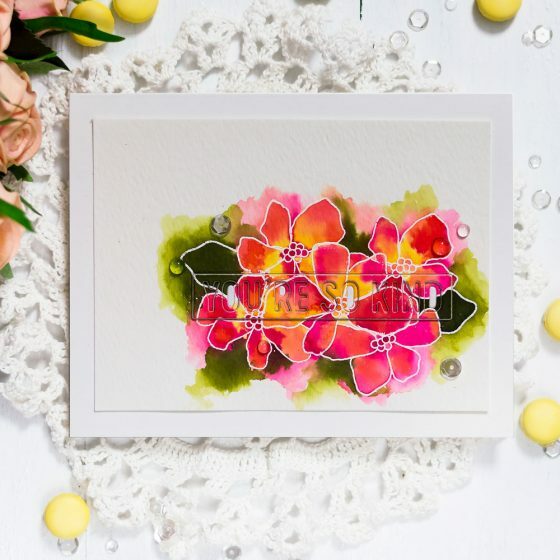 I was honored to play with Altenew Exclusive Stamp Set – Dainty Sprig. 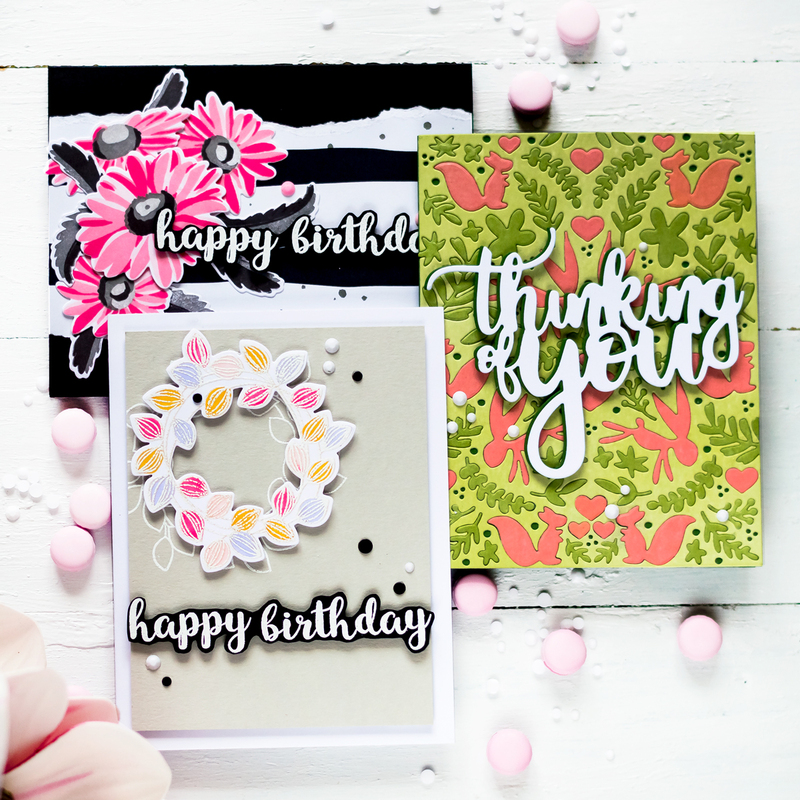 Today I’m joining an EPIC STAMPtember Party where dozens designers share their creations using new STAMPtember products. Felt letter boards are so popular now, why not to make them on cards or scrapbook pages too? 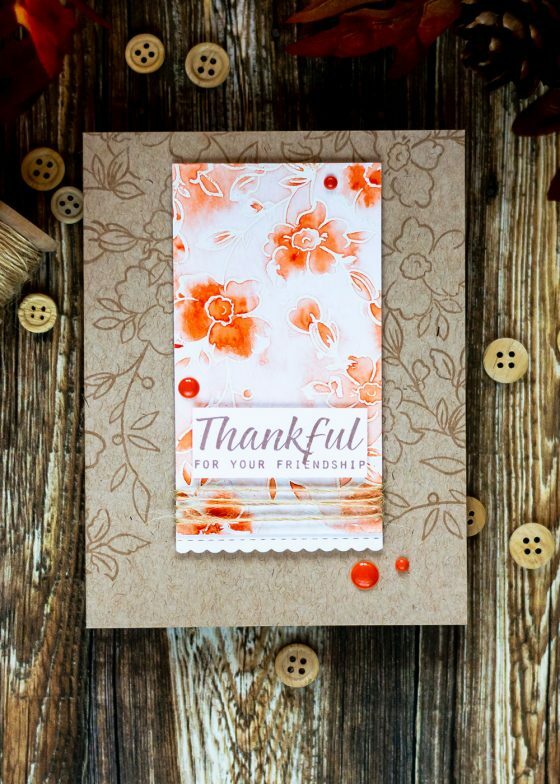 I made one using the Tabbed Sentiments Stamp Set, designed by one and only one Cathy Zielske, from the newest Simon Says Stamp release Friendly Frolic. 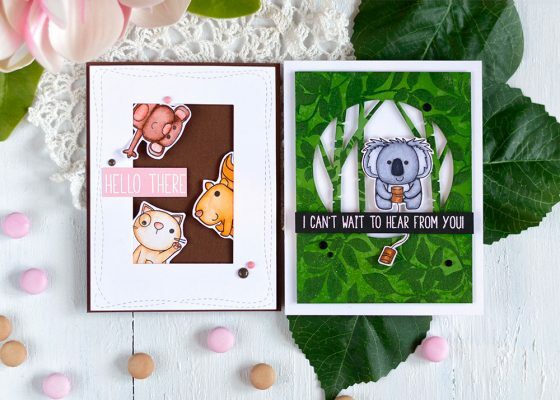 Simon Says Stamp Hello There Stamp Set is so sweet and adorable and features four funny critters. Sharing two cards made sing this set. 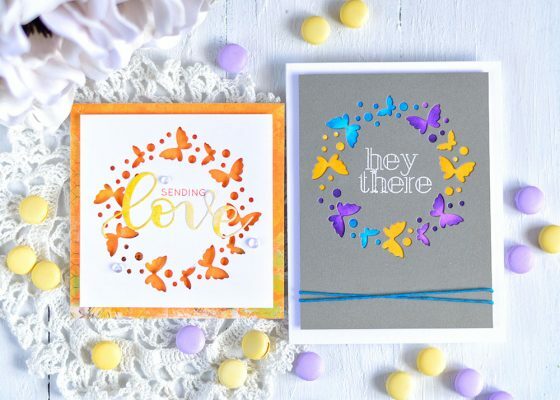 Very excited to share today two cards using a new die Flickering Butterfly Circle from Simon Says Stamp Fluttering By Release. 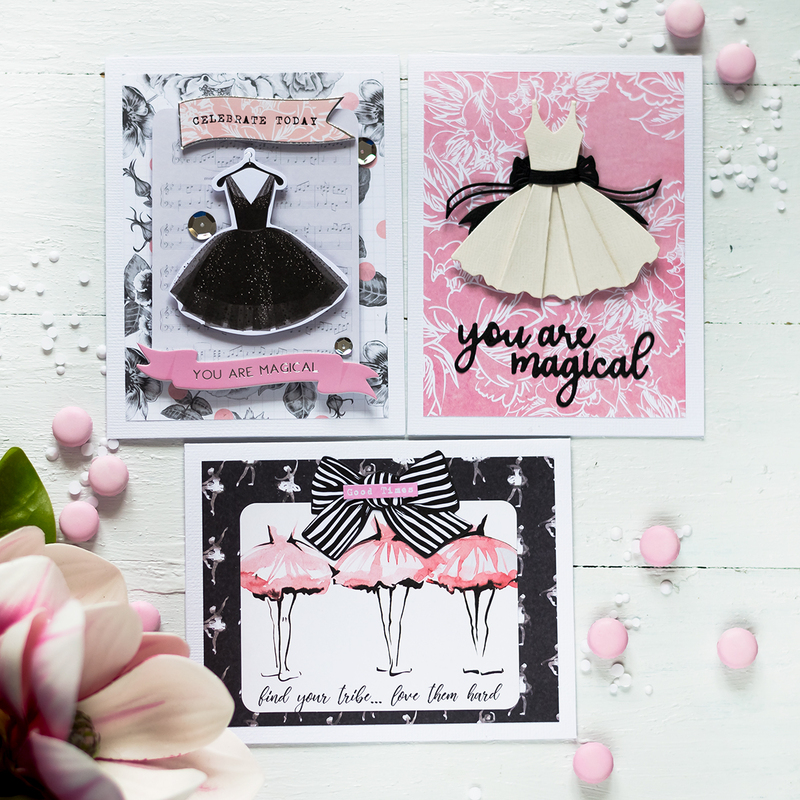 As it’s usual for my cards – they’re quite different. And both were very simple to make. Today is a new Simon Says Stamp release -Best Days. 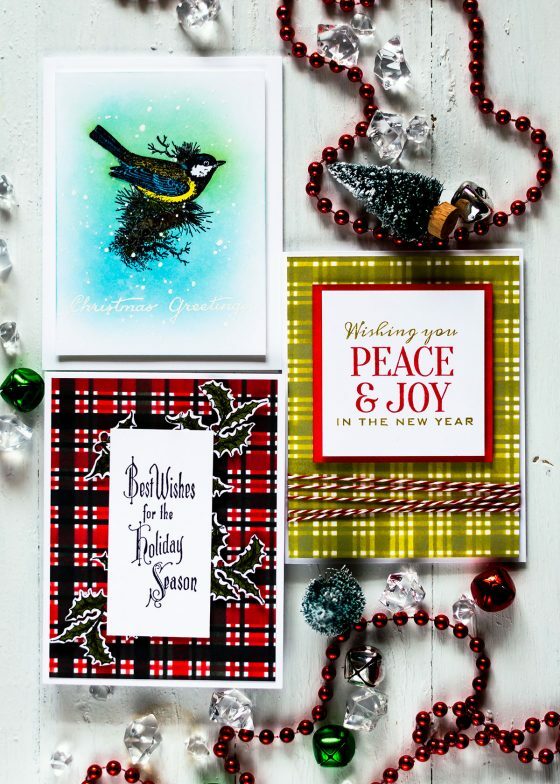 There are so many wonderful products have been released today. 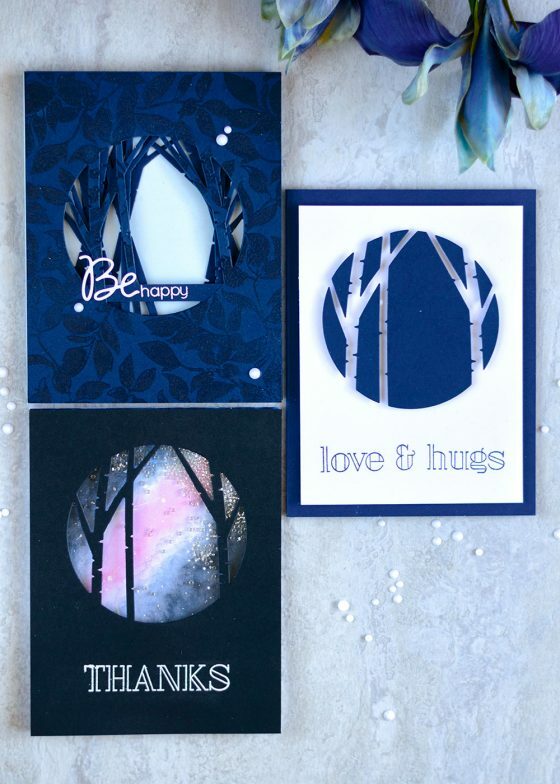 I’m sharing three different ways new Birch Circles die can be used on a card: tunnel, negative die-cuts and shaker. Cute and happy cards are not something I usually do. 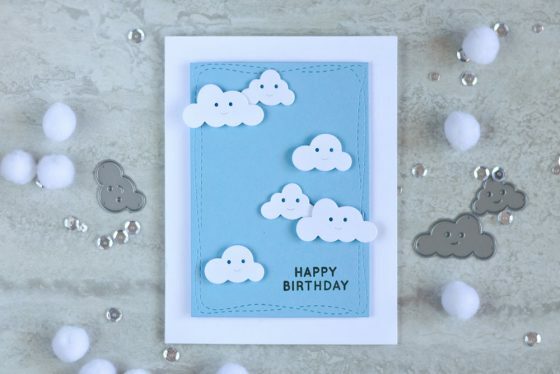 But with new Simon Says Stamp Happy Clouds dies you don’t have any other options that creating something cheerful and happy.